CEO and Co-Founder, Global Assistance & Healthcare, Mr. Mario Babin. Global Assistance & Healthcare, a leader in the medical assistance and occupational health services in Indonesia is excited and proud to announce the recent certifications of OHSAS 18001:2007 and ISO 9001:2008 for its Assistance Company as well as its medical centers in Jakarta and various remote sites in Indonesia. Global Assistance & Healthcare department of Certifications and Compliance has worked in collaboration with TUV-Rheinland to certify all our medical facilities in Indonesia via several rigorous internal evaluations, site surveys and implementation of enhanced Standard Operating Protocols. ISO 9001:2008 provides a tried and tested framework for taking a systematic approach to managing organization’s processes so that they consistently turn out services that satisfy customers’ expectations. It is used in more than 176 countries. OHSAS 18001 is an Occupational Health and Safety Assessment Series for health and safety management systems. It is intended to help an organization to control occupational health and safety risks. It was developed in response to widespread demand for a recognized standard against which to be certified and assessed. 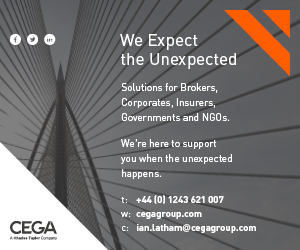 A guide to leading international medical and travel assistance companies and providers, operating within leisure, expatriate and corporate business travel markets globally.